International trade has brought new opportunity for global merchants. And while prices tend to be favorable for overseas business dealings, the logistics of transporting the product to the customer is often overlooked. This type of oversight can quickly turn a carefully designed product and strategy into a logistics disaster. Your team will be left scrambling to secure rates that will not devastate your bottom line. Fluctuations in fuel, shifts of demand in certain lanes, and changes to volume all play a part in altering shipping rates from day-to-day. There are many factors which play into cost, but ocean freight shippers have another variable to consider: the Ocean Freight General Rate Increase (GRI). Great supply chains are centered around one key piece of data, the cost of transportation. Knowing your costs upfront will maximize your bottom line, understanding transportation fees will allow you to price your product more effectively. While professional shipping companies play an integral role in this type of calculation of cost, understanding the Ocean Freight GRI will help you to better understand rate changes, and anticipate changes on an annual basis. What Is The General Rate Increase? A GRI (General Rate Increase) is the amount by which ocean carriers increase their base rates across specific lanes, generally as a result of increased demand. In a non-volatile market, general rate increases take place on an annual or semi-annual basis. However, supply and demand for ocean shipping can fluctuate rapidly. Marked as one of the biggest challenges in global shipping, restructuring rates to include the Ocean Freight General Rate Increase falls on the shoulders of global logistic shipping partners, such as RTM Lines, to ensure the cost of shipment is reflected accurately in every quote. Before third party logistics companies can understand the reality of rates in the coming year, the steamship lines perform an analysis of their own. The steamship lines crunch numbers and assess the state of the market. With data and projections, they arrive at an increase. This increase is generally implemented near the start of the new year. From a cargo owner’s perspective, GRIs can be tricky. When they come into effect, they affect all cargo not yet loaded onto a ship, irrespective of when the shipment was booked. For example, if a shipment is booked on the 20th at a specific price but loaded on the 2nd, the GRI would still be applied to that specific shipment. In the industry, this is called “vatos” (valid as of time of shipping). Most forwarders will take this into account when quoting or warn their customer that a GRI may be forthcoming. The Ocean General Rate Increase is an adjustment of prices based on an analysis of costs. These new, often higher costs, need to be recouped in order to maintain viability in the market. In order to maintain quality levels and elite service, steamship lines must increase their rates. This recouping of costs is vital to great service. It ensures necessary maintenance and upgrades are performed. How Is The GRI Calculated? The GRI comes after an intense analysis of shifts in costs over the previous year. The steamship lines know that every trade lane tariff has its own scope and with that, its own set of cost-impact factors to take into account when determining a responsible GRI rate level. Every measure of a carrier’s cost structure is reviewed and capital and expense projections are assembled for the coming year. This means the GRI is both a history lesson and a prediction of the future. It predicts the future of labor, consumer behavior, and government fees and taxes. RTM Lines is dedicated to issuing cost recovery actions at a responsible and achievable rate. How Does The GRI Impact Shippers? Given these points, we can start looking at how the GRI affects shippers in all industries. The most important point to remember is that rates increase through the steamship lines. This means service providers’ rates must increase in order to offset the changes. This usually comes in a simple percentage pass-through increase to the shippers. What Can I Do To Offset The Ocean Freight General Rate Increase? There are a few things you can do now to put you in the best possible position. 1. Know your current shipping costs and margin. To achieve the most efficient and profitable supply chain, shippers must know their transportation costs. With events like the Ocean Freight General Rate Increase, we know these numbers are not static. Hold frequent assessments of costs throughout the year. Failing to anticipate, assess, and account for increases in costs attributed to the GRI can damage your supply chain. 2. Evaluate your business and shipping strategy. Know exactly what you are producing and run scenarios for price increases to see how they will affect your margin. Evaluate the burn rate of additional expenditures, and determine viability towards the bottom line. A more accurate classification of your freight may mitigate excessive spend. 3. Maintain an open dialog with your service provider. All good logistic service providers will be willing to discuss the General Rate Increase with you. Ask them for tips on how you can minimize the effects of the increase, and plan for future shipments in advance. 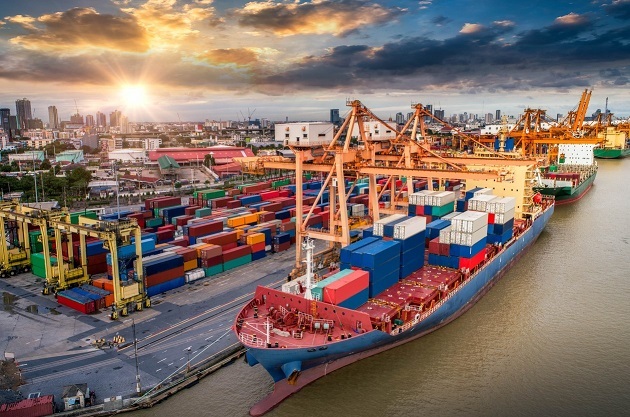 Understanding the Ocean Freight General Rate Increase is a great way to look back on historical shipping costs, and predicate their future decisions on anticipated changes, ensuring a successful and strategic future. You will be able to see the trends of the last year, and use that insights to determine where your supply chain needs to be to maintain growth. RTM Lines strives to be transparent about the potential changes in our rates. We work with our customers to help them understand the GRI and the potential effects on their costs prior to solidifying a shipment plan. We pride ourselves on working collaboratively and want to help all customers move forward in a profitable and efficient way.